Good Afternoon and Happy Thursday Everyone! We have been experiencing a HEAT WAVE here in Portland with temps close to 100 degrees! Whoa! I must say, I am not much enjoying this weather and want my Portland Perfect Summer weather to come back. Please. Pretty Please. Anyhow, when it is HOT, I like to eat cool, refreshing meals and I found one that hit the spot! It also was a crowd pleaser and kid-approved. My kids liked it so much that they asked me to make it for dinner the very next night. Score! I love it when I find something healthy that my whole family enjoys. And guess what? It is SUPER EASY to make. In a medium size skillet, heat the coconut oil over medium high heat. Add in the shallots, ginger, salt and pepper, cooking until the shallots starts to turn translucent, about 3 minutes. Add in the garlic and cook for 1 more minute. Add the ground turkey to the same skillet along with the shallots, garlic and ginger, breaking it up as it cooks, about 10 minutes. Remove from heat and allow to cool for 5 minutes. 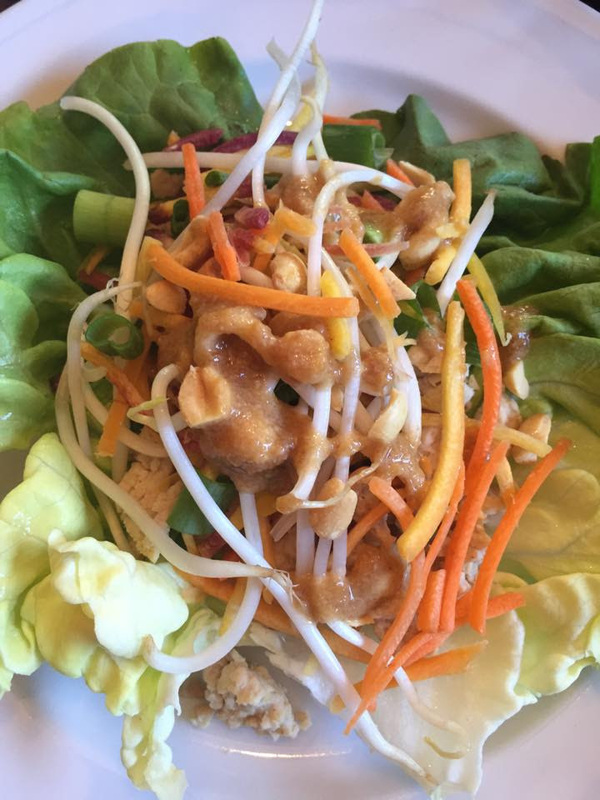 Spoon the cooled ground turkey into the lettuce cups and top with shredded carrots, green onions, mung beans, peanuts and Asian peanut sauce. The turkey mixture will keep in an airtight container for 1 week in the fridge. 1. Whisk all ingredients together in a small sauce pan over low heat until warmed through. Voila! Yum! I HIGHLY recommend you give this recipe a try. I am off to teach Bootcamp at Mount Tabor on this lovely 98 degree day. Wanna join me?